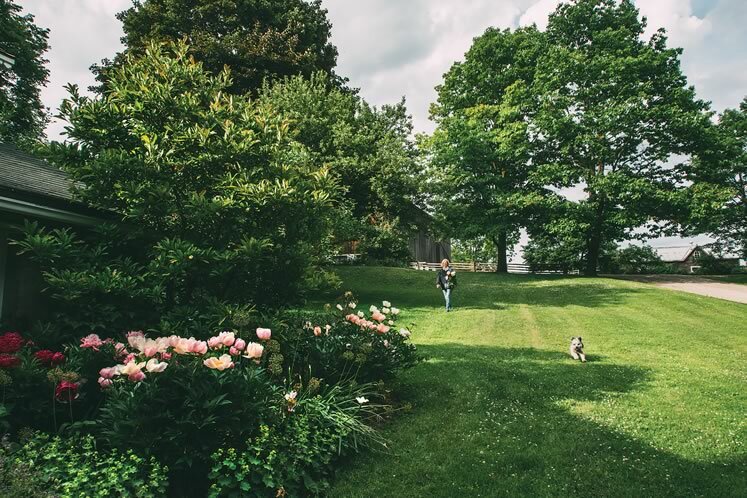 Meet the women behind the blooms at Petals Flower Co., Purple Hill Lavender Farm, Stonewell Farm, Broadside Flowers and Caledon Hills Peony Farm. If, as Ralph Waldo Emerson once wrote, “Earth laughs in flowers,” then our corner of the planet is having quite the chuckle. Happy flower farms are sprouting throughout the hills, following the trail blazed by the slow food movement and inspiring us to buy local according to what’s in season and what grows in our backyard. The growers leading the way have in common a profound sense of place. 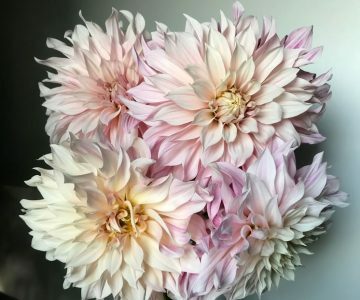 The plants they grow bind them more deeply to land they already love – and express a floral version of terroir for those of us lucky enough to enjoy their blooms. Some of the flower farmers have lived in these hills for years, others are more recent urban transplants. 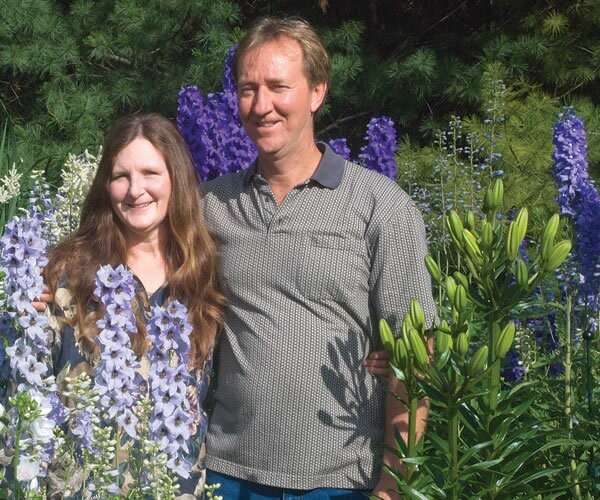 Many have one eye on the industry’s current patron saint, Erin Benzakein of Floret Flower Farm in Washington State’s Skagit Valley. 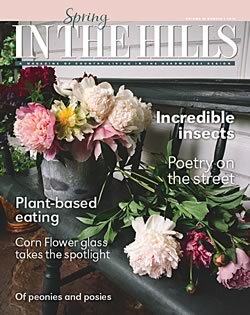 Benzakein has parlayed her love of gardening and the trend toward loose, informal arrangements that look (and are) freshly plucked from a perennial garden, into a mini-empire of educational workshops, books, half a million Instagram followers and, more recently, her own harvested seeds for sale online. 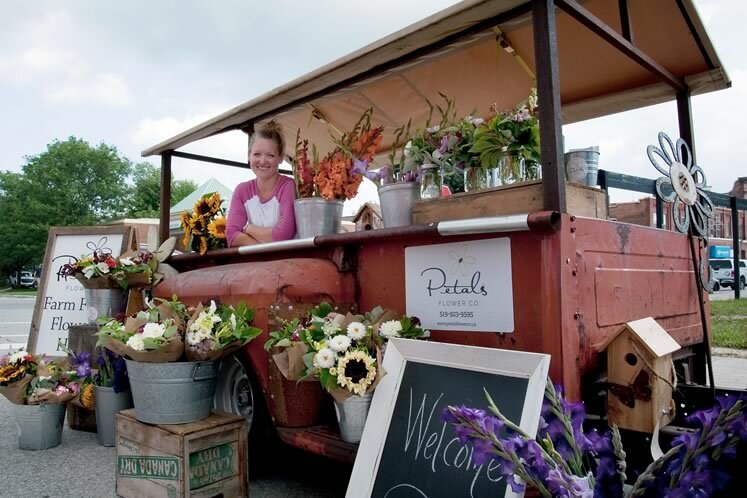 The floral entrepreneurs in Headwaters offer their wares at local farmers’ markets, work behind the scenes at weddings and in florist shops, and invite customers to buy blooms or rootstock at their farms. Three favour single species: lavender or peonies. 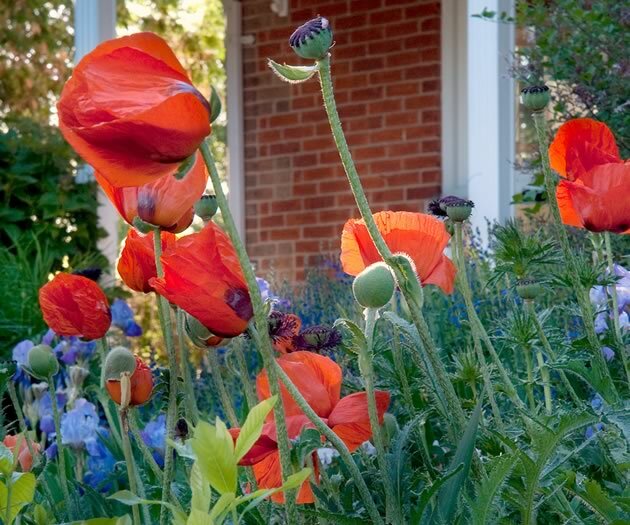 Two are more catholic in their tastes, growing English-garden stars such as foxgloves, sweet peas and dahlias, as well as foraged farmland greens, such as raspberry, for a hint of the wild. 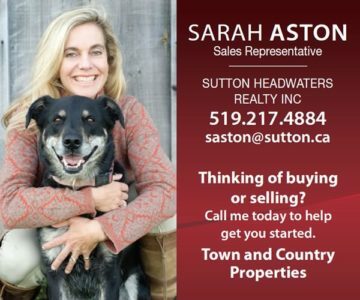 As spring tentatively emerges, they are all stepping outside, spreadsheets and field plans in hand, to check their work and plant, weed, mulch and continue building their businesses literally from the ground up. 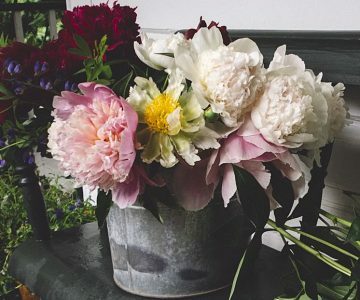 At Caledon Hills Peony Farm, artist and flower farmer Diana Hillman has turned a lifelong love of peonies into a business selling rootstock to gardeners for fall planting. Photo by Tessa Angus. The Florist Farmer: Amber Swidersky of Petals Flower Co.
Florist and flower farmer Amber Swidersky sells her blooms at the Shelburne Farmers’ Market. Photo by Rosemary Hasner / Black Dog Creative Arts. 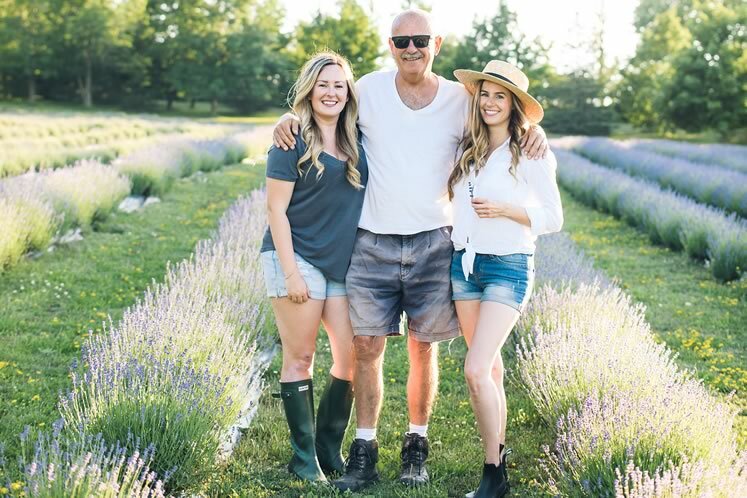 At Purple Hill Lavender Farm near Creemore, Emma Greasley, left, and Jessica Ridding flank their father, Brian Greasley, between rows of lavender. Photo by Jessica Crandlemire, Light and Shadow Photography. 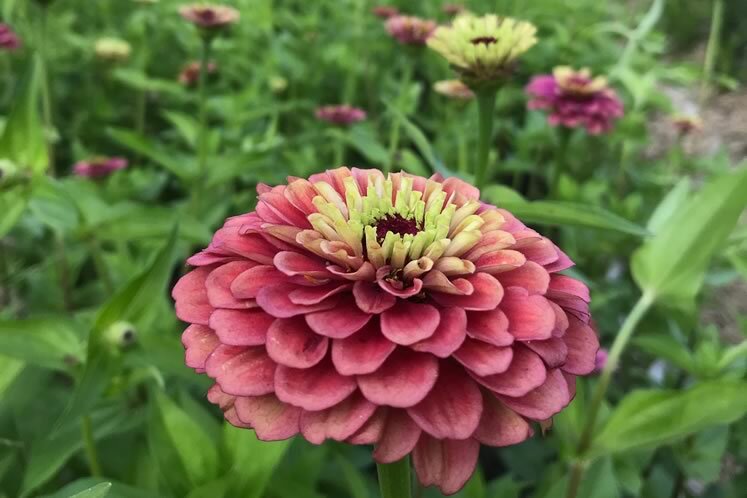 Zinnias blooming in the flower field at Broadside Flowers. Photo Courtesy Broadside Flowers. 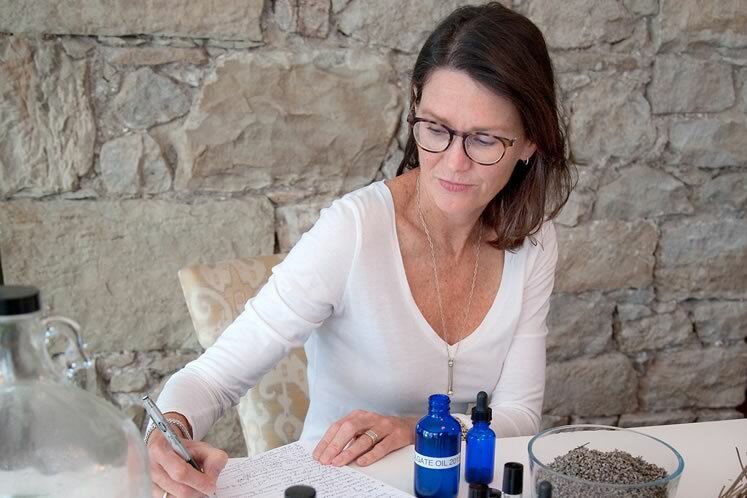 Lee Anne Downey sits at her kitchen counter with the lavender oil she pressed last summer at Stonewell Farm. 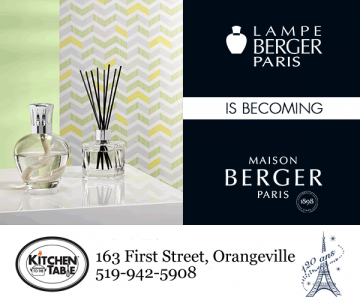 She is developing ideas for a small-batch line of lavender products to debut this year. Photo by Rosemary Hasner / Black Dog Creative Arts. Looking for a rare peony variety? Diana Hillman’s got you covered with rootstock from North America and the Netherlands. 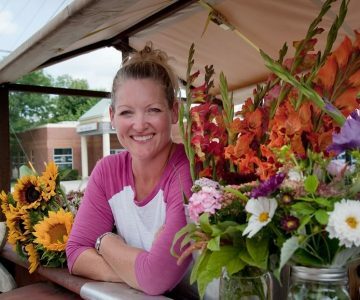 The Florist Farmer: Petals Flower Co.
Melanthon’s Amber Swidersky creates lush bouquets with blooms just steps from her floral studio. 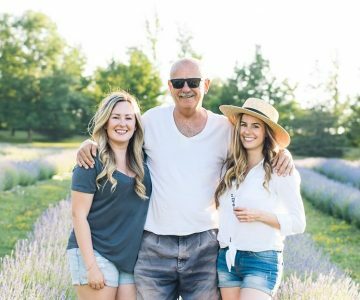 How Emma Greasley and Jessica Ridding transformed the Creemore farm where they grew up into a lavender dream. Terra Cotta landscape gardener Amanda White’s own garden is brimming with foxgloves and dahlias. 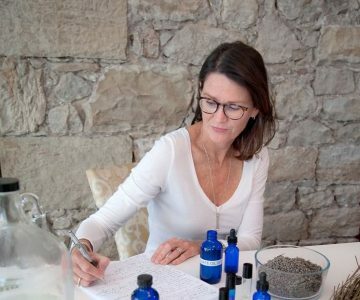 At Lee Anne Downey’s new lavender farm in Erin, small-batch products and intimate retreats are in the works. No time like the present to start working in the garden! 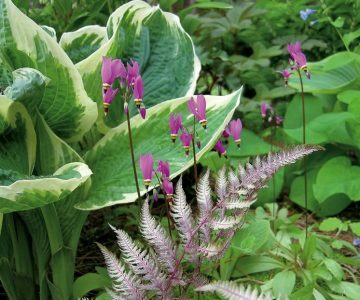 Use these tips to clean up and get ready for new plants. 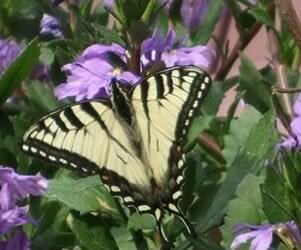 It is especially important to have flowers in mid to late summer when most butterflies are active. 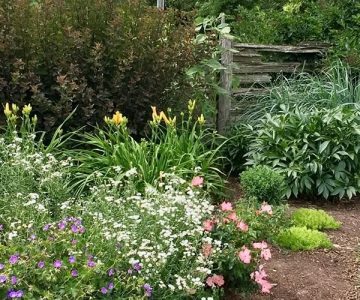 Two self-taught Caledon gardeners have created a kind of boutique garden centre, where the emphasis is on natural, organic, drought-hardy – and gorgeous.